The staff at Clean Energy Ireland would like to thank you for your continued support and custom over the past year. We wish you and your families a very Merry Christmas. The New Year is set to bring some new & exciting products to our range and we will continue to strive to provide you with a premium customer service experience and the highest quality products on the market. We wish you a joyful and peaceful New Year and look forward to doing business with you in 2019. Clean Energy Ireland begin installation of the PV systems on the Deanrock social housing scheme being delivered by Cork City Council. The Deanrock landbank has lain vacant since the demolition in 2007 of 108 “eyesore” flats, built in the 1970s by the National Building Agency. The development of the site will provide some much-needed housing stock to the community and has been welcomed by many. The scheme includes 32 three-bed houses; 24 two-bed houses; four two-bed maisonettes; three two-bed apartments; two four-bed houses; and a community building. They should be ready be the end of next year. Designed by the council’s Architects Department, the Deanrock houses will have an A-energy rating, with top quality insulation, air tightness, and photovoltaic panels to reduce heating and electricity bills for tenants. Clean Energy Ireland will install a PV system on each unit, varying in size from four panels / 1.1kW to eight panels / 2.2kW. Each system will be roof mounted using the highest quality materials. The PV system has been designed to provide the maximum energy production for the home tenants. The Inverter will be mounted within the attic space of the building. The entire project will take place over a year as the new phases of the site come onstream. Clean Energy Ireland will work closely with the main contractor to ensure a seamless installation process. Delivering the highest quality service. Work finally completed on the first Finglas rapid-build project. 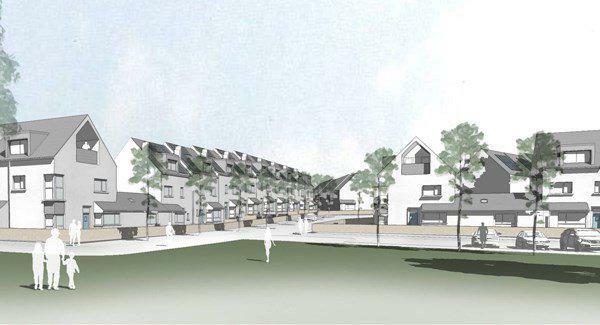 22 houses for homeless families – project which started in Ballymun, Dublin almost a year and a half ago. 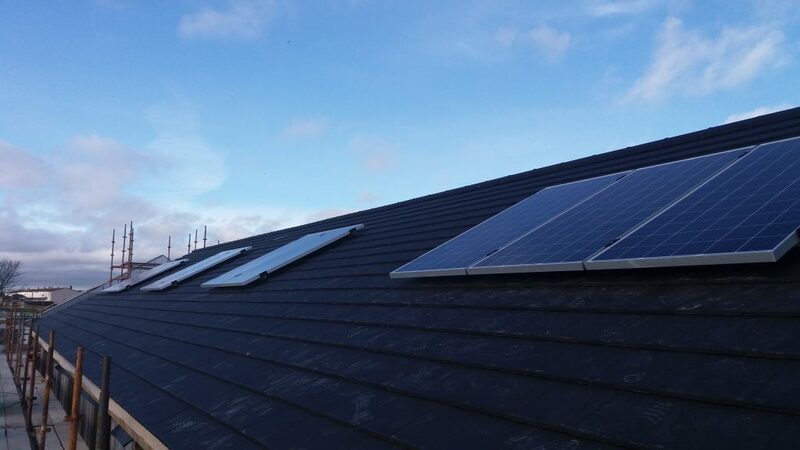 Clean Energy Ireland has provided Solar Thermal and Solar PV Panels System, for the newly-built estate at St Helena’s Drive in Finglas.